The circle symbolizes the integration and alliance of efforts in order to contribute to the people’s well-being, achieving to optimize the harmony and fullness of families and communities. 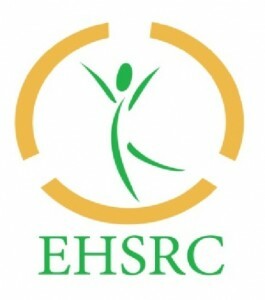 The circle divided in three equal parts represents the three main components of the Endowed Health Services Research Center (EHSRC), aimed to eliminate health disparities: research development, multidisciplinary integration and dissemination of knowledge. The open zones of the circle represent accesses that optimize the adequate provision of health services and health care, as well as the benefit of a total well-being at physical, mental and social level. The green color symbolizes the balance and the sensation of satisfaction; the orange color represents rejoicing, well-being and the waking up before possibilities of a health care free of inequalities between the members of the community. In summary, we have the figure of a healthy, rejoiced and satisfied patient with the health services and optimum healthcare.